"AMEY = A Massive Empty Yard". That's how one of the 'bright' sparks (electrician) described the effect of the GMB union's strike at the Amey depot at Olive Grove in Sheffield, because so few had gone into work. 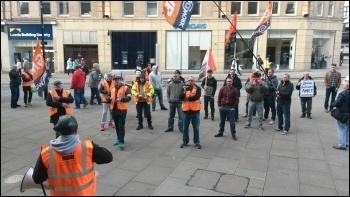 Over 200 GMB members took one-day strike action today, Monday 10 October, to protest at Amey's threat of compulsory redundancies from their misnamed Streets Ahead team. Sheffield council privatised its Highways and Street Lighting department four years ago under a £2.2 billion 25-year Private Finance Intiative deal with Amey. At the time of the staff transfer (under the TUPE protection of terms and conditions), the council staff were assured in an official briefing: "There are 480 people currently on the transfer list and we will need every one of you for the full 25 years." Now Amey, having completed the first phase of installation, is saying that TUPE-ed workers face the sack with the street lighting team being reduced from 108 down to 21. Those kept on will be on Amey's reduced terms and conditions. After voluntary redundancies, five face compulsory redundancy which Amey is refusing to budge on because further job cuts will follow among employees who are resurfacing roads and footpaths. Yet Amey is sub-contracting around 250 jobs to external contractors, mostly from out of town, to effectively do their work. 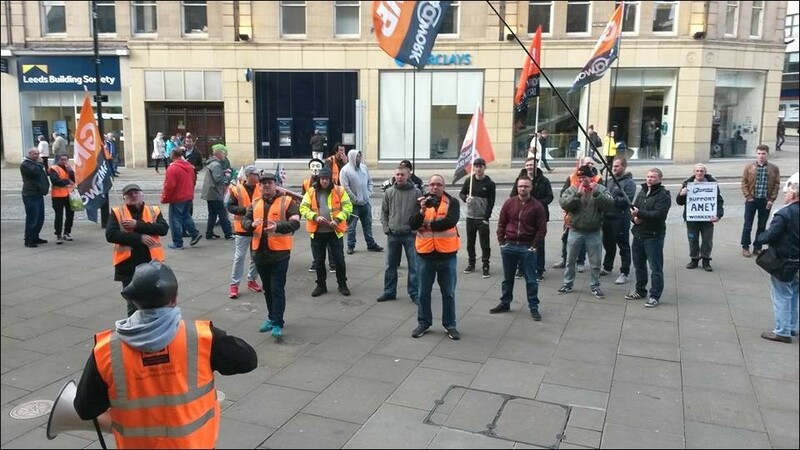 So this strike has centred on "Sheffield jobs". 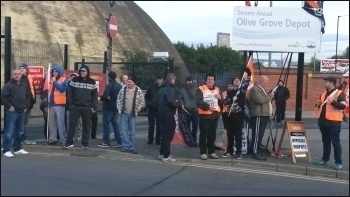 Joined by strikers from the Ecclesfield depot, around 30 demonstrated outside Olive Grove depot before marching into the city centre to protest at the town hall. As Patrick said: "We need to sort this council out, they're the ones that privatised our jobs and gave the contract to Amey". Another striker said that since Amey took over he'd never seen so many Mercs in the managers' car park. 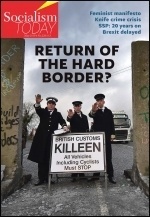 Senior GMB steward, Jake O'Malley, said: "They're getting a big slice of the cake and all we get is crumbs. They won't even negotiate on pay!" Another strike is planned for next Monday, 17th October. 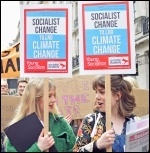 This version of this article was first posted on the Socialist Party website on 10 October 2016 and may vary slightly from the version subsequently printed in The Socialist.